Bee's Circus: 304. Flashback Friday. Prom. 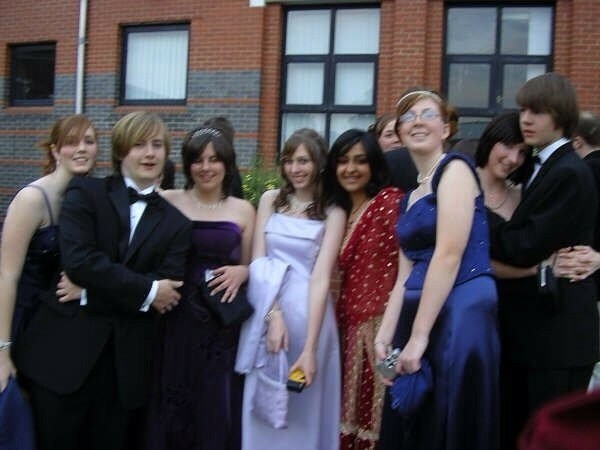 Last night my cousins' had their school prom, and it made me feel nostalgic. They all looked super cute, and I remember the excitement of getting all dressed up and the madness that was the end of my school life. 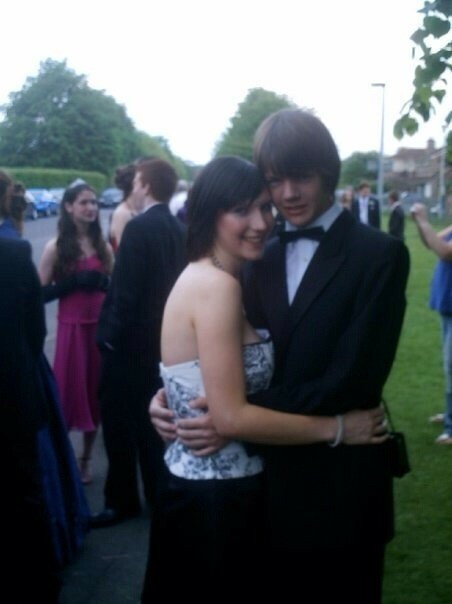 My prom was six years ago, I had to think about that for a minute and woah those six years have gone so fast! It feels like only yesterday I was 15 and still at school, hardly a care in the world (or responsibility!) spending every waking moment on a friends' garden with some of the most amazing friends, making even more amazing memories. I'm lucky to still be friends with some of them, they've always been there for me. 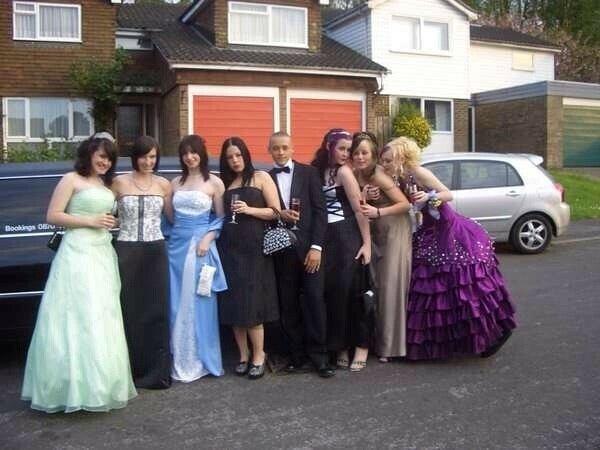 So, obviously, at 4am this morning I was looking back through old Facebook photos of our prom. I'm second from the left, in front of our limo. We had quite a random bunch in our car, but the girl next to me (in the blue) was my Bestie, Kathryn. Me and my then-boyfriend, Christopher. How cute! We were together for nearly two years, and he's still a good friend of mine. Some of my best friends. ALL of my best friends! 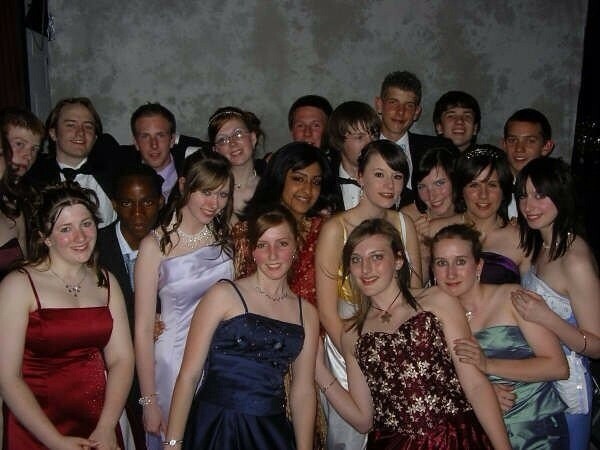 Can you spot me?